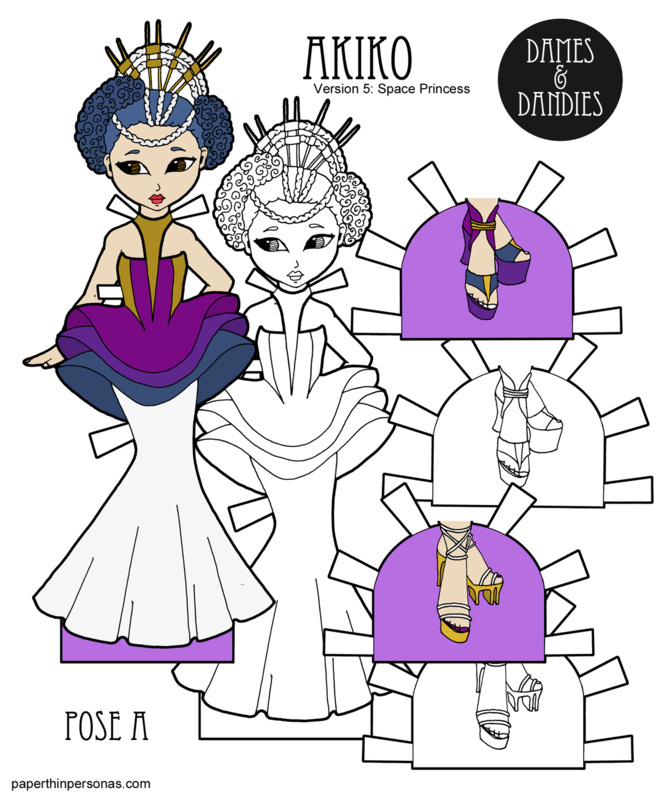 Printable Black & White PDF Printable Color PDF More Paper Dolls & ClothesI did my first version of Batari back in August, so I am happy to get to post a second version. This version of Batari has lots of shoes (a super important paper doll garment, because they are the least versatile) and a short hair style. Both of the first two Bartari versions had longer hair, so I wanted to do one with short hair. As I mentioned before, Batari is an Indonesian name that means Goddess. It was voted on by my Patrons. I like to give them the opportunity to choose paper doll names whenever I can. If you want to help keep the blog up on the internet and see more behind the scenes stuff, think of becoming a Patron. Also, you get to vote on things there.